Ivy June and Catherine couldn’t be more different. Catherine and her family are rich, and Ivy June’s family are poor Kentucky folk. But when Ivy June goes to stay with Catherine’s family for two weeks, the pair become fast friends. Even though Ivy June faces hardships and struggles which Catherine has never experienced, they also share things in common which have nothing to do with money. And when Ivy June feels bad because she has the wrong shoes, Catherine squirms because she can’t wash her hair each day! 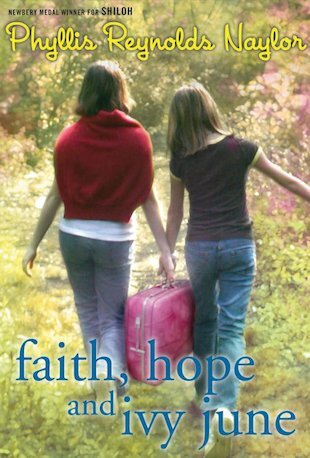 A warm and tender story following two friends as they challenge class differences and learn not to make assumptions about others. 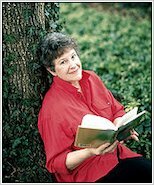 Phyllis Reynolds Naylor is the Newbery Medal winning author of over 120 books for children and young adults. Phyllis Reynolds Naylor won the Newbery Medal for Shiloh in 1992.